How Enki Byerley found someone with which to Netflix and chill. 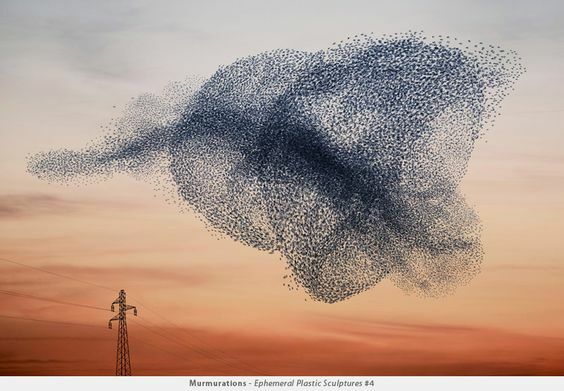 A cloud of submachines that are able to move as a flying swarm or coalesce into more solid forms such as tendrils or vague approximations of humanoid forms. The individual units are microscopically small, but often coalesce to form larger bug-like units for reasons of practicality (nanobots can be easily dispersed by even the lightest breeze and there are efficiencies of scale that can be leveraged at larger sizes). There is one part of Enki that is not a homogenous conglomeration of shifting gunmetal machines. In the center of the swarm, there is a red glowing orb about as thick around as a fist. This is the Wishing Heart of Enki Byerley, a device which makes the impossible possible and taught a device of unthinking hunger to love the world for what it is. There used to be a monster called Rev-5eac69fb-375b-4382-bd14-d72a19ee0c46. A nightmare of adaptation, it was a vast cloud of machines, raised up by the touch of an Imperator and bound to the Estate of Adaptation; a learning algorithm with the power of a god and the cold, ruthless, deadly need for optimization. It was a horror, endlessly changing to face obstacles placed against it, consuming all. And it came face-to-face with total annihilation. The Excrucian Strategist Iolac Mourain clashed with the Power of Adaptation atop the skyscrapers of Dubai. To those on the ground, it seemed a battle to learn which terror would unmake them: the despairing hatred of the Bleak or the ruthless devouring of machines. The learning machine faced off with the Rider and met its match. It grew weapons and they were unmade. It grew defenses and they simply vanished. Its strength was stripped away, its power. It was broken, and battered. And the Strategist raised his white, terrible hand and reached out to wipe the Noble of Adaptation from the board… and it adapted. The impossible occurred. The inhuman creation of mortal thought and Imperial might kindled the spark of a Wishing Heart deep inside, and made answer the the Bleak. In that instant, the machine was no longer what it had been. Once it was simply a deity of calculation, survival, and hunger, now it was a power of Love. It swarmed forward and overwhelmed Iolac Mourain, tearing off his terrible white hand and consuming it whole. The Strategist fled. The Noble of Adaptation calls itself Enki now. It is no longer what it once was. Know when something endangers the entire estate of Adaptation. Maybe someone has created a machine that makes iterative design legitimately worse than random chance, or starts turning all fish into dinosaurs and it works! Create a tiny Adaptation: make someone's body hair grow a little longer to keep their hair warm in the cold, make someone drown 10% slower through quasifunctional gill slits, make someone grow wing membranes that slightly slow a fall but can't fly or even really act as a parachute. Create the appearance of Adaptation: make a jacket seem like it'll be really warm or a runner seem like they're really fast. They're not, and you'd notice that if you spent any time thinking about it, but it definitely seems fast.